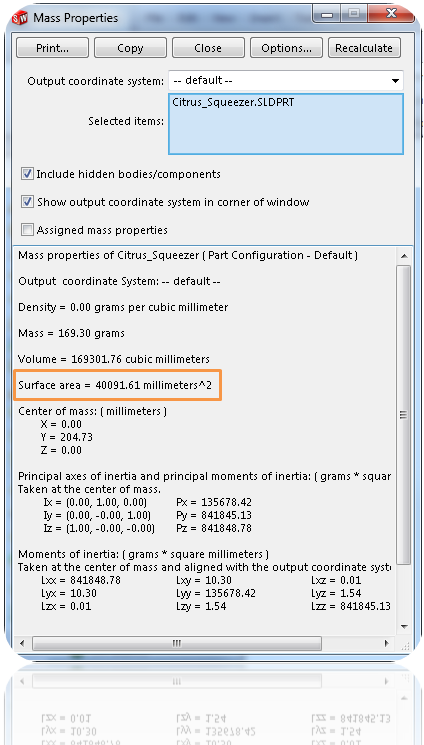 How to Measure a Surface Area, Volume or Mass in SolidWorks? Sometimes it’s necessary to measure the surface area, volume or mass of a product. For example, in order to calculate the amount of paint it’s useful to know the surface area. We all know how to measure the surface area of a simple shape like a cube. But it’s get more complicated when you’ve to calculate the surface area of an organic shape, like the Citrus Squeezer. Or perhaps you’ve designed a bottle and want to know what the volume is. Or you want to measure and reduce the weight of your newest carbon race wheel. Luckily SolidWorks has a useful tool to calculate material properties like this in a few clicks. I will show you how it works. 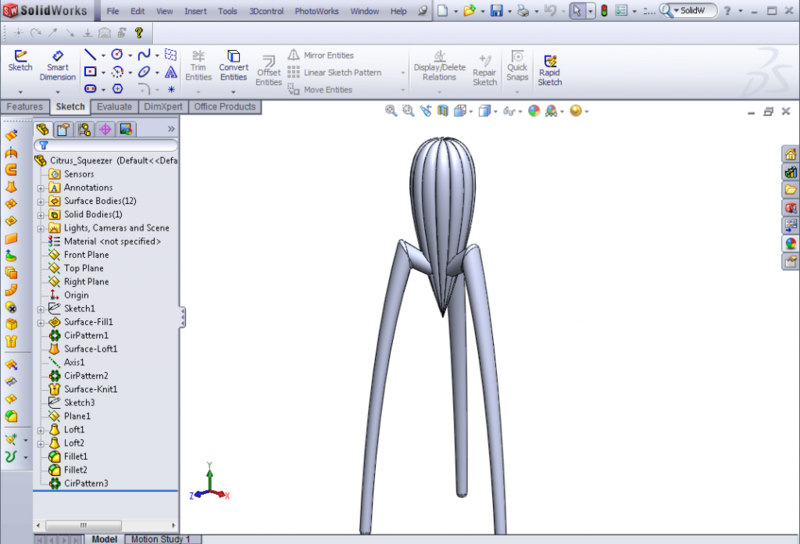 Click here to download a SolidWorks file of a citrus squeezer. 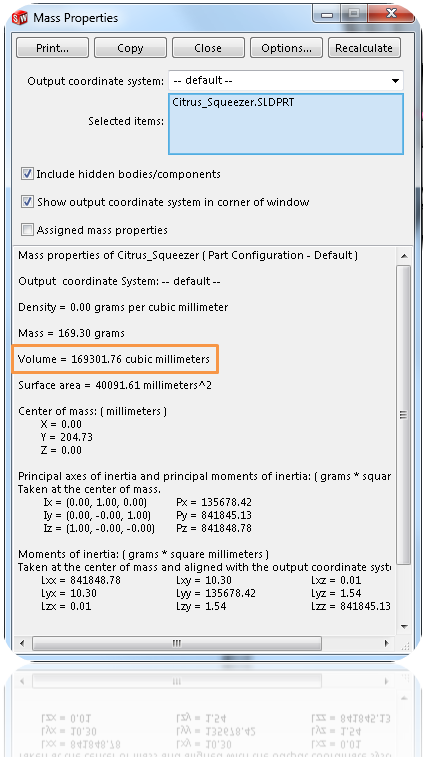 In the Mass properties box you can find many material properties. The surface area of the squeezer is 40091mm2 as you can see in the orange rectangle. 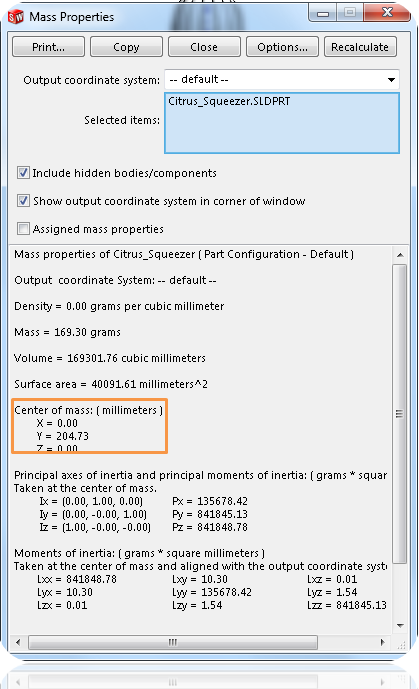 As you can see in the Mass Properties box in SolidWorks, the volume of our model is 169301 mm3. You can also see the Mass of your model. It’s important to setup a material first to get the right properties. This information will tell you where the center of your product is. The information above tells you that the center of your product is 204,73 mm above the origin of this part. Click here to download the SolidWorks citrus squeezer model. 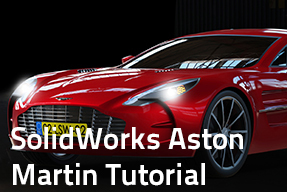 Previous post And the Winner is…… Next post How to Draw a Text in SolidWorks? Very interesting your course information will be useful to me in my designs, I thank you enough for the information. i m kamal from pakistan, working as a process engineer in a precised parts manufacturing industry. 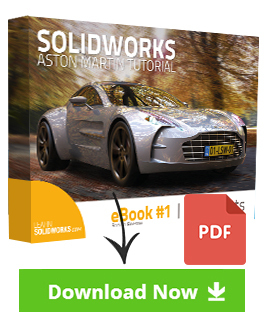 i have 2 years of experience of using solid works. i always search the tutorial to increase my potential of using solid work’s, and your course information is very helpful for me in this aspect. Its really useful knowledge sharing. first of all, thanx a lot for sharing this information, and i hope that definitely i will receive more information in this aspect. Hi everybody, thanks for all the positive comments! I really appreciate it. 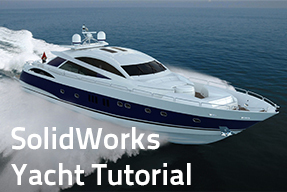 I will write many other SolidWorks tutorials the next months. but if you have only the 3d design from surface & you need to calculate the weight , you can’t use the tools mass properties to calculate the weight of the product , as the icon of be disable ! – so what you will do in this case ? Hi Murad, thanks for your message. A surface model doesn’t have a volume or mass (it’s just a surface without a thickness). To get the weight of a surface model you first need to add a wall thickness. Go to Insert > Boss/Base > Thicken to add a wall thickness. Afterwards you can follow the steps as shown in the tutorial. I m Student Dip.Design in Malaysia. This information very useful for me. i just completed this tutorial..
Do you have a solid model of F16 falcon? Thank you, Jan. Your work is very commendable and has been helpful. Please keep the good works alive. 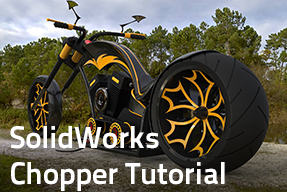 i am always impressed with your tutorials to get new hints while learning solidworks. thanks a lot. How to measure the multiple parts of surface area? For Eg: I want the surafce area of Chassis. It consists of Center housing, transmission case, Engine and so on….From this how do i calculate the surface area? Thank you so much! It’s an useful information for me.